new stamping arbor press and stamps are here. Come check out our holiday, rocky mountain, giraffe, whale tail, animals and much more. we have a new sign language and blackjack font letter set as well. It all started with a great idea and a little hard work. 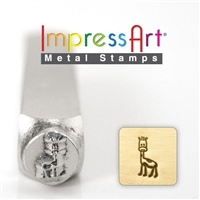 Today we're proud to provide quality jewelry stamping products direct to your doorstep. And most of all, we hope you will enjoy the products as much as we do. Copyright © 2014 The Supply Guy LLC. All Rights Reserved. Built with Volusion.